Delete sub keys of Mounted Images and check. Go to the following registry location and delete sub keys of Mounted Images: "HKEY_LOCAL_MACHINE\SOFTWARE\Microsoft\WIMMount\Mounted Images"
After deleting the sub key of Mounted Images in the Windows registry, the Windows 10 setup worked perfectly for me. There may be other issues involved as well when you’re facing these 0xc1420127 and 0xc190010b Windows Update errors. Lack of disk space may cause various Windows Update errors. Always keep your disk clean, regularly clean up your temporary directories and unneeded download files. There are more Windows locations to clean up and regain extra disk space in Windows. Talking about Windows disk clean-up, I have a post summing up 5 extra ways to clean up disk space in Windows Server! An activated anti-virus program may interfere with the Windows 10 update, so temporarily disable your AV software. Usually there is an icon at the lower-right corner of your screen, use the left or right mouse button to pull up its menu and choose disable. It’s possible you haven’t installed all available Windows updates yet, and one of them is needed for the Windows 10 update to install successfully. 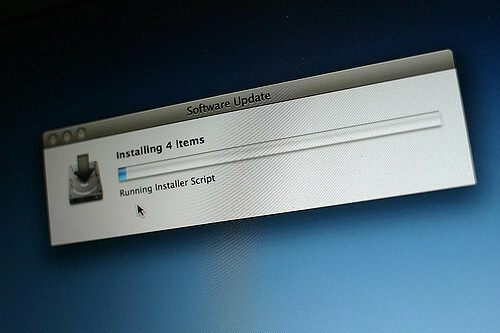 Always install all available and pending updates, it keeps your computer more secure – as vulnerabilities are fixed – often makes your computer run faster as an update is more optimized. The System File Check utility, or sfc.exe is used to verify the integrity of important Windows files. When used properly, sfc.exe repairs corrupted system files. And that’s it. After all this, your Windows 10 update from Windows 8.1 should work just fine. What’s the meaning of 0xc1420127 and 0xc190010b? Just look it up with err.exe, Err.exe is a great command-line utility for looking up error codes. Get Err.exe at http://www.microsoft.com/downloads/details.aspx?familyid=be596899-7bb8-4208-b7fc-09e02a13696c&displaylang=en (MSDN says it’s for Exchange error codes but it works for Win32 error codes and many more). # Object '%. *ls' cannot be found. # The directory name is invalid. # 5 matches found for "c190010b"
# The specified interrupt vector was already connected. # 3 matches found for "c1420127"
Deleting the registry for the WIMMount Mounted Images was what I was missing. The troubleshooting I found here (http://answers.microsoft.com/en-us/windows/forum/windows_8-update/uanble-to-install-windows-updates-error-code/ef2cc766-2243-4e50-94d8-ce7d16538242) only confirmed that everything with my system was OK. Thanks also for the additional checks and troubleshooting advice!